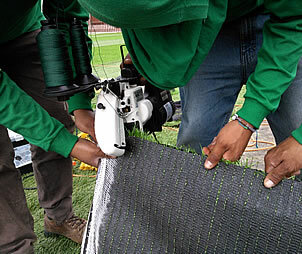 Ideas Solutions- Mexico client of Turf Sewing Machines. The Union Special 2200 series is made in the USA, lightweight, easy to use, and the most affordable synthetic turf machine in the world. It has a Built-in thread chain cutter, housing for electric motor and handle made of fiberglass-reinforced break-resistant polyamide. We now carry the Union Special 2200. It has a Built-in thread chain cutter, housing for electric motor and handle made of fiberglass-reinforced break-resistant polyamide. 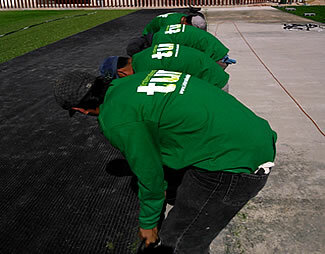 Sewing geotextile fabric together has proven to be more effective, cost efficient and structurally superior than overlapping or other installation methods. Combined upper & lower feed for greater power grips both sides of bag. The Union Special 2200 is the world's leading handheld sewing machine for sewing synthetic turf, sports fields, bag closing, tarps, and all geosynthetics. We offer the original 2200A, 2200B as well as the all new for 2009 2200G and 2200GA. You'll find our pricing more affordable than any other source. The Union Special 2200 series is made in the USA, lightweight, easy to use, and the most affordable synthetic turf machine in the world. It has a Built-in thread chain cutter, housing for electric motor and handle made of fiberglass-reinforced break-resistant polyamide. 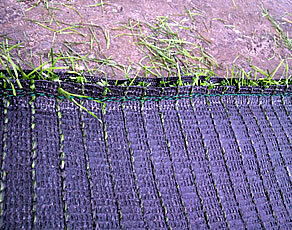 Sewing geotextile fabric together has proven to be more effective, cost efficient and structurally superior than overlapping or other installation methods. If you're looking to save but need a reliable sewer this is it. 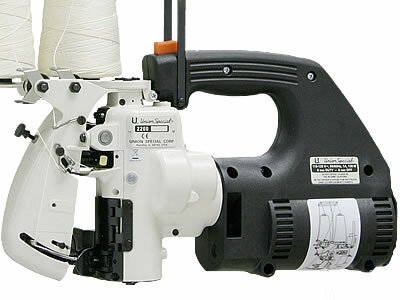 The Union Special 2200 has a Built-in thread chain cutter, housing for electric motor and handle made of fiberglass-reinforced break-resistant polyamide. Combined upper and lower feed for greater power grips both sides of the bag. It is available in the 2200GA models. Sewing geotextile fabric together has proven to be more effective, cost efficient and structurally superior than overlapping or other installation methods. The Union Special 2200 is the world's leading handheld sewing machine for sewing synthetic turf, sports fields, bag closing, tarps, and all geosynthetics. We offer the new 2200G and 2200GA. You'll find our pricing more affordable than any other source. 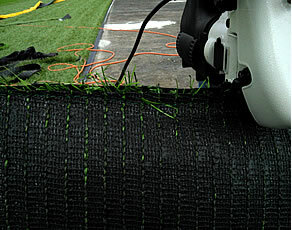 The Union Special 2200 series is made in the USA, lightweight, easy to use, and the most affordable synthetic turf machine in the world. It has a Built-in thread chain cutter, housing for electric motor and handle made of fiberglass-reinforced break-resistant polyamide. Sewing geotextile fabric together has proven to be more effective, cost efficient and structurally superior than overlapping or other installation methods. If you're looking to save but need a reliable sewer this is it.